The new tower will taper significantly from the base to the apex. 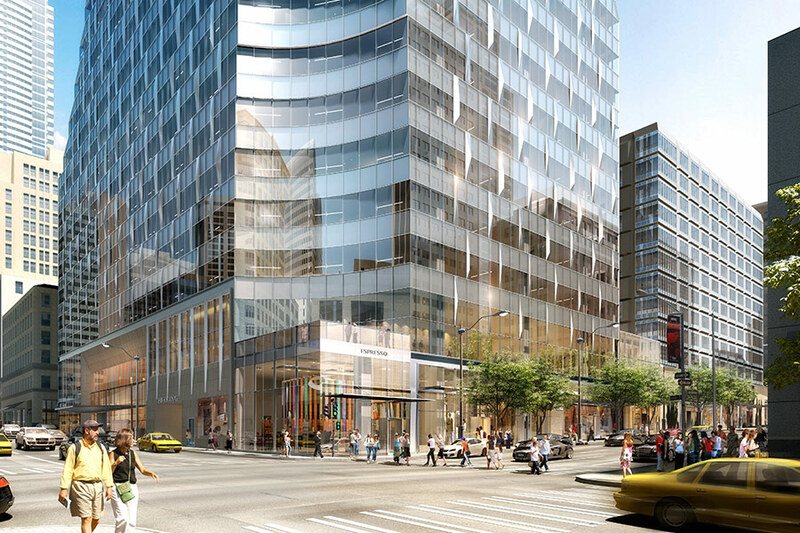 Downtown Seattle has recently had a continuous stream of buildings breaking ground or undergoing design review and permitting. A June 2014 paper produced by the Metropolitan Improvement District and the Downtown Seattle Association reported that the area has over 100 active projects, more than twice the number reported in 2011. 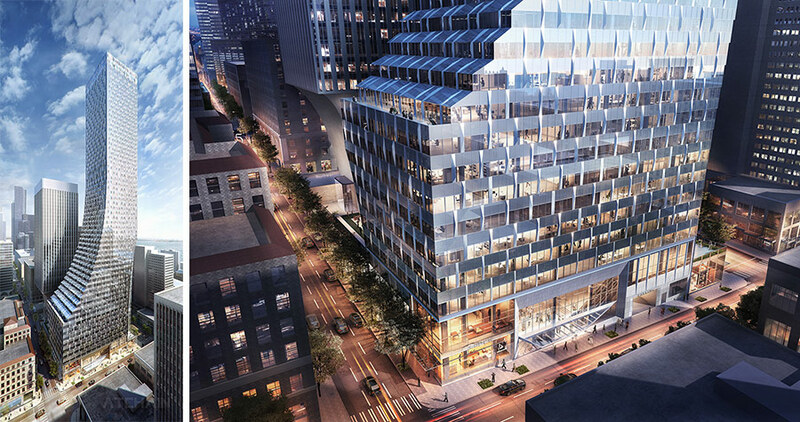 Soon adding to this mix will be the city’s second tallest tower, measuring 795 feet, designed by NBBJ’s Seattle office. Working with developer Wright Runstad & Company, the plan calls for redeveloping the majority of a downtown block bounded by Union and University Streets and Fourth and Fifth avenues. The block is owned by the University of Washington, which is leasing it to Wright Runstad for the next 80 years. A major building on the block—the 31-story Rainier Tower designed by Minoru Yamasaki with its distinct inverted pyramid concrete base—will remain. But according to the design proposal, all other structures, including Rainer Square and a shopping mall with office space, will be demolished. 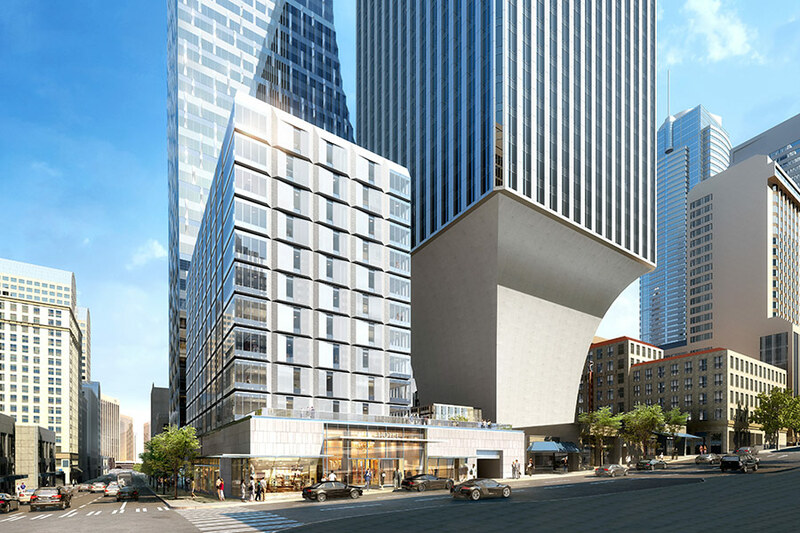 This would make way for the mixed-use 58-story tower—still unnamed—located on the opposite corner of the existing Rainier Tower. It would bring in approximately 30,000 square feet of retail at ground level, a 12-story hotel, 790,000 square feet of office space, and 180 apartments on the top floors. There will be underground parking for 1,200 cars. 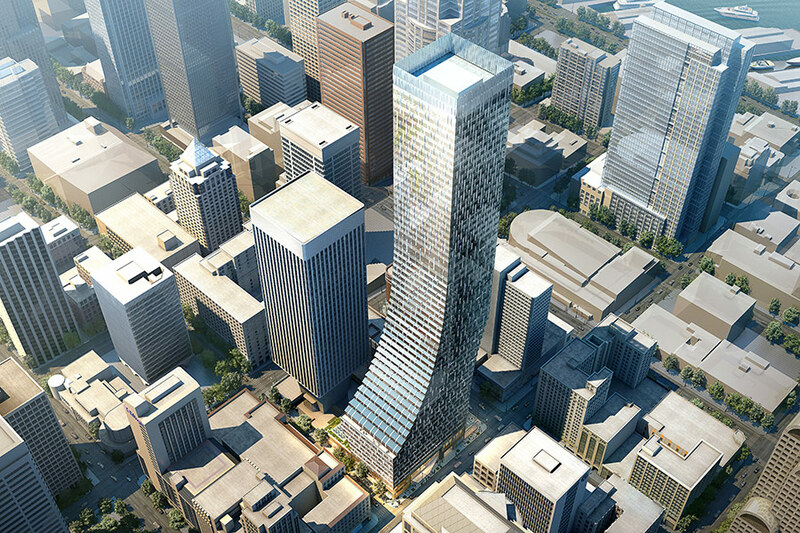 The designs for the stepped tower look a little bit like a boot: wider at the bottom (with floor plates maxing out at 33,000 square feet) and narrower at the top (with 15,000-square-foot floor plates). 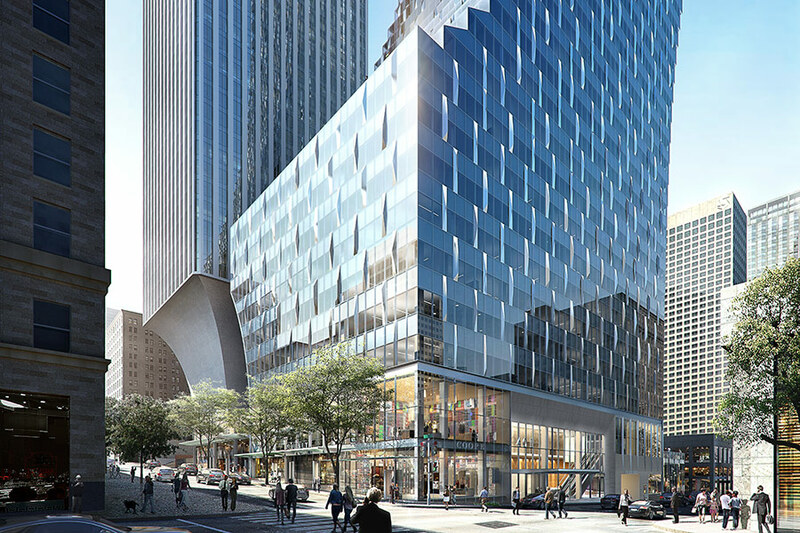 “Great projects also come with unique challenges,” said Mindy Levine-Archer, a principal architect at NBBJ, referring to this careful effort to protect site lines for Rainier Tower and maximizing daylight for both buildings. The University of Washington earns $1.5 million annually from Rainier Square, and estimates that the new project will bring in an additional $2.5 million each year. The redevelopment is expected to cost about $500 million. Wright Runstad recently received a master permit. Construction will start at the earliest in late 2015, with the university setting a 2021 deadline.